Posted 12:58 pm by Patrolscan & filed under Blog. There’s nothing more important than protecting airline passengers and making sure there are no threats inside the airport. 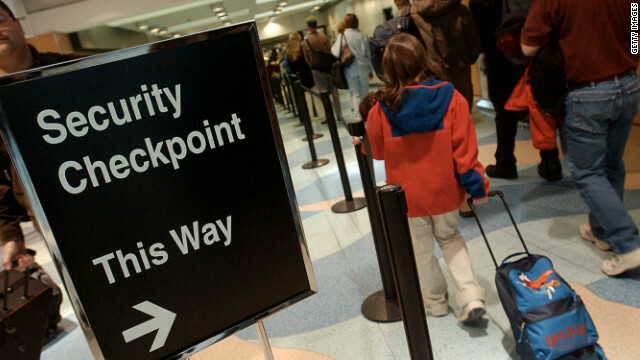 Airport security involves local, state, and federal employees, as well as the TSA and private security companies. While some security personnel are ensuring that the inside of the airport is safe through full-body scans and security lines with personal belongings going through x-rays, others are checking that no danger enters the airport at all. The airport security guards rely on their rounds of the exterior, interior, and parking lots to ensure nothing is out of place. There are security tracking devices available with the most innovative and advanced technology that make the process of completing rounds simpler and more accurate. Managers want to stay on top of their security personnel, and by incorporating the right technology, you can make sure that there is no stone left unturned. The question remains, just exactly how can technology streamline security operations? With the right system in place, you can keep an eye on the entire airport as your guards complete their rounds. A guard tour patrol system incorporates three unique products and an easy installation. A TouchProbe is given to each guard to collect data, and you can track their movements through the installation of a memory chip. The TouchProbe has audio and video indicators that allow you to listen to what is occurring, as well as watch to see if there is any suspicious activity. At each checkpoint, your guard will touch the probe to the chip, which sends you a notification that they have moved to the next location. From any Windows compatible device, you can track which guard is on their round, how fast their round was completed, if there were any errors, and if there is the chance for a security breach in any aspect of the airport. As a security manager, the last thing you need is a security breach that leaves your entire facility at risk. With the product, you never have to worry about whether there is a glitch in the system. All reports are accurate, and can be viewed from any remote location that is connected to the internet. The utilization of the weatherproof software is perfect for training new guards on the processes and procedures of your operation. Your guards can report whether an unauthorized door is open or if there are any indications of tampering with security (backed up through the video recording). You want your system to be accurate so you can stay ahead of the issues and make sure the airport personnel, travelers, and property is kept safe and secure. Technology has come a long way and allows you to streamline your security operation. With all the agencies present at airports, you can never be too careful in your efforts to keep travelers safe. Update the security software for airport security guards, and make sure the entire property is protected throughout the day. You’ll find nothing easier than the use of a quality patrol system.